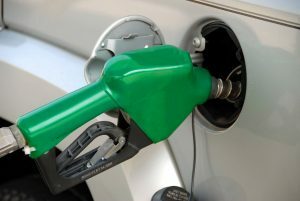 Gasoline prices jumped an average of 7 cents in the past week in Oklahoma to reach an average of $2.32 a gallon, according to the latest fuel gauge report from AAA Oklahoma. Credit a two-year high demand for gasoline across the U.S. The new average is 23 cents below the national average which rose 4 cents over the past several days. Oklahoma and Arizona have the same average which is tied for seventh lowest nationwide. Texas and Alabama are tied at $2.28 a gallon for the lowest price average in the country. Why the increase? Jeanette Casselano, a spokeswoman for AAA said gasoline demand rose in the past week, going up 164,000 bbl to register at 8.8 million. It is the highest demand measurement for the first Energy Information Administration report of January since 2011. Oklahoma’s 7-cent jump was among one of the largest in the top ten markets. The largest increases, which were 9 cents, were reported in Kansas where the average is $2.37 a gallon, Kentucky which is up to $2.47 a gallon, Indiana where the average is $2.60 and Iowa where the average is $2.52. Only two states saw a drop in gas prices. The price in Alaska slipped by 2 cents a gallon while prices in Rhode Island declined by one cent. If you’re driving to the West Coast, prepare to pay some of the highest gasoline prices in the country. California’s average is up to $3.18 a gallon.